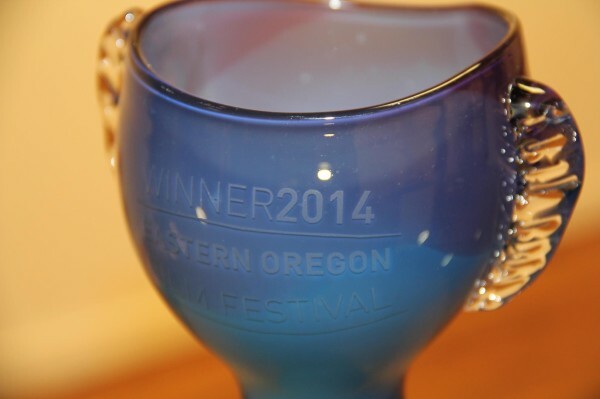 Eastern Oregon Film Festival celebrated a successful fifth edition! Cinema, live music, parties, and panels ran Thursday, Feb.20 through Saturday, Feb.22. On Sunday, Filmmakers and festival-goers shared an incredible Decompression Day at Anthony Lakes Ski Resort. 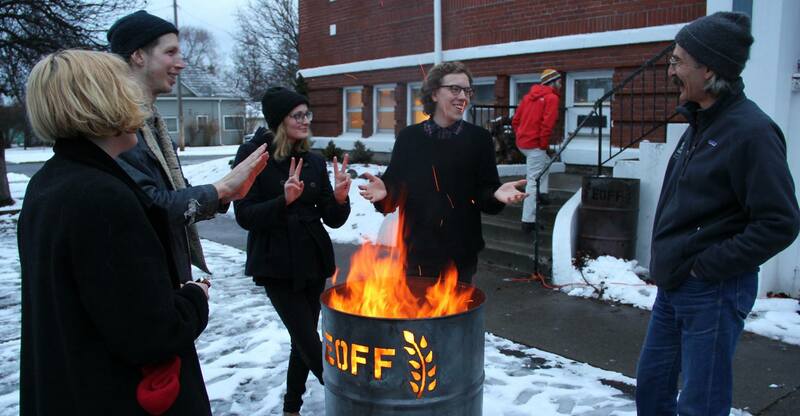 Attendance and buzz were at an all-time high, and it was—by all accounts—the best EOFF to date!!!! Here are the award winners from #EOFF2014! Your feedback is essential to making the next installment of EOFF a smash! If you participated in this year’s event please take moment and fill out our participation survey! We were thrilled to have Hammer To Nail’s Paul Sbrizzi out for the festival. You can read his excellent festival recap here! It’s pretty humbling when visitors walk away with such a positive experience from their time in La Grande. INTERNET SCREENINGS… AT A FILM FESTIVAL? Yep, and this experimental component was a huge success! EOFF drew hundreds of viewers from all over the globe!!!! Special thanks to Zach Weintraub, Nandan Rao, Elaine McMillon, andNoBudge.com for their involvement. Check out the special collection of VINE‘s here. Online Guest Curator (NoBudge x Vine) and EOFF alumni, Kentucker Audley, has sparked debate with his satirical response to the New York Times’ Manola Dargis and Salon’s Beanie Barnes. Their recent criticisms of independent filmmakers led Audley to take a bold, timely position in defense of keeping cinema an accessible, open art form. Whether you’re a filmmaker or film-lover, this is aMUST READ that hits close to home. Simple Machine is now offering quarterly grants to small, pop-up festivals whose operating budgets will be $1K or less. The concept is simple: send an email pitch and you might be awarded a grant. Read about the program here. EOFF programmer Ian Clark continues to take his current project MMXIII deep into the realms of the internet. “Touring” his movie from website-to-website caught the attention of Tribeca—read about the experimental distribution approach here. The other half of EOFF’s programming team, Benjamin Morgan, is gaining momentum on his upcoming project, MOTHER’S MILK. Playing the part of writer/producer, Morgan has brought Boise filmmaker Zach Voss on board to direct. Eastern Oregon Film Festival is testing the waters, proudly extending its non-profit umbrella to assist in the project’s Kickstarter campaign. HOLY SMOKES, WE LOVE OUR COMMUNITY! Once again, we’d like to give hearty thanks to our sponsors and official venues! Check out our awesome supporters below. Ten Depot Street, Liberty Theatre Foundation, Art Center at The Old Library, ArtsEast, Praise Photography, and La Grande Main Street plus many other local contributors. Meyer Memorial Trust and The Wildhorse Foundation. Granada Theater, The Stage Door in The Liberty Theatre, and the Art Center at the Old Library, Ten Depot Street, and Anthony Lakes Ski Resort.